Brand ambassador, model and reality TV star, Blue Mbombo, has officially been named as the brand ambassador for Tammy Taylor Nails Sunninghill. The top class international nails brand now adds to Blue Mbombo’s already impressive resume of brands she represents in various capacities which includes the likes of Dark and Lovely and Clere Radiance. “A Tammy Taylor Nails Sunninghill Queen is a woman of class, pure elegance, a woman who knows what she is capable of, a woman who knows what she wants. Blue Mbombo is such a woman,” shares Matumelo Leseba, owner of Tammy Taylor Nails Sunninghill. A brand favourite to work with, Blue Mbombo starts 2018 off doing what she does best. 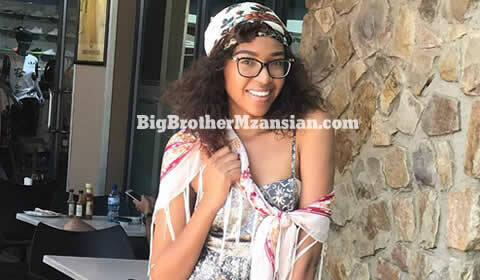 “It’s exciting yet very humbling to be representing another international brand like Tammy Tailor Nails Sunninghill,” expresses Blue Mbombo. “Designing the brand partnership for Blue Mbombo with Tammy Taylor Nails Sunninghill was a seamless one. The two make such a great fit. Thank you to Matumelo and her team for believing the vision and we look forward to growing our relationship with you,” shares Ninel Musson, Director at Vth season. Blue Mbombo’s class and elegance in apparent in her every day life and not just when representing brands. Her style diary on Glamour Magazine website received extensive positive reviews and was rated one of the most popular for all of 2017. For more great style and inspiration from the royal Duchess, get a copy of the January 2018 Glamour Magazine issue where Blue Mbombo is featured as a style inspiration.